The location in Winter Park marks the fifth Colorado tap room opening for Crazy Mountain Brewing Co., the third in 2017. EDWARDS — Crazy Mountain Brewing Co.’s growth and expansion continues in the fall of 2017 as it is set to open a new taproom space in the Winter Park Village, which will be coined the Crazy Mountain Saloon at Winter Park. Following Crazy Mountain’s recent taproom additions in the Denver-metro area, the Winter Park location will also feature draft beers, comprised of Crazy Mountain’s year-round portfolio and rotating selections from its limited release Local’s Stash Reserve Series. Growing from its roots in the Vail Valley, this location will be Crazy Mountain’s second foray into Colorado ski country. The location is in the heart of the Winter Park Village, on Parry Peak Way, nestled in between the Village Cabriolet lift and Zephyr Express. This location marks the fifth Colorado taproom opening for Crazy Mountain, and the third in 2017. Crazy Mountain intends to open its doors in Winter Park by November, just in time for the opening of ski season at the resort. With distribution now reaching 27 states, and 11 international markets, Crazy Mountain was recognized as the ninth largest production brewery in Colorado, as well as being identified as one of the top-30 fastest growing breweries in the country in 2016 — fewer than seven years after first opening its doors in Edwards. 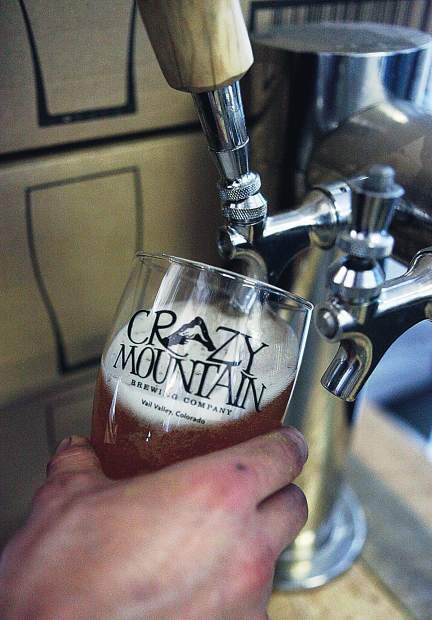 For more information about Crazy Mountain, visit http://www.crazymountainbrewery.com and follow them on social media.